Europe can work with Asian countries – like and unlike-minded – to salvage and reform parts of the multilateral system which have served everyone so well for the last 70 years, including the World Trade Organisation and, specifically, its Appellate Body and the Dispute Settlement Mechanism. Constructive proposals proposed by the EU could form the basis of a revamped and more inclusive global trade system. The world is watching Brexit – and concern over Britain’s uncertain future is sharpest in Asia. 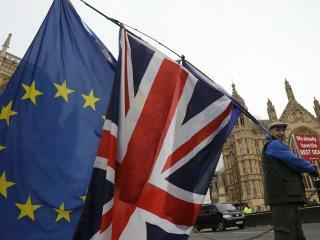 Asian leaders and businesses are uneasy over Brexit chaos and as they wait and worry many are moving fast to reinforce ties with an increasingly attractive Europe. Asian consternation over Brexit is not surprising. Governments and companies in the region have long leveraged their historical ties with Britain to get ahead in the European Union. Asian diasporas wield strong influence in British politics, business and society. Asian students traditionally head to British schools and universities. London is every Asian millionaire’s preferred destination. First, Asia and Europe must start serious discussions on reforming global governance. Trump’s retreat from America’s international commitments has dealt a strong blow to the multilateral rules-based order. But Europe can work with Asian countries – like and unlike-minded – to salvage and reform parts of the multilateral system which have served everyone so well for the last 70 years, including the World Trade Organisation and, specifically, its Appellate Body and the Dispute Settlement Mechanism. Constructive proposals proposed by the EU could form the basis of a revamped and more inclusive global trade system. Efforts should also be made to multilateralise ongoing national and regional discussions on connectivity on the basis of new EU proposals on governance, sustainability and transparency. The need for more and better connectivity, especially for infrastructure, is universally recognised. And while it gets the most attention because of the amount of money involved, China’s Belt and Road Initiative isn’t the only connectivity show in town. Others, including ASEAN, have been in the game for many more years. Japan, India and Europe have a similar interest in increasing connectivity. But all these projects operate under different rules and standards, leaving many countries confused and unsure. The suggestions above are by no means exhaustive. Enhanced EU-Asian cooperation will require a change in mindsets in both regions. Old-fashioned and outdated concepts and stereotyping will have to change on both sides, replaced by a new, more inclusive approach. There will have to be uncomfortable compromises, more give and take, more listening to each other, less talking past each other. Coalitions will be built more around shared interests despite disagreements over values.